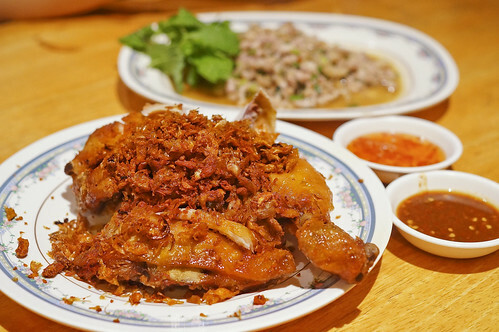 I went to Bangkok a couple of times and each time, i spent quite some time researching where is a good hunt for good food in Bangkok. I thought it would be useful to consolidate all my food itineraries into a single post instead and hope that this post will come handy to like-minded food lovers. Feel free to click on the food header to link to my more elaborated posts in my blog which includes address, operating hours , in-depth review and more photos of the eatery. (1.) Sabx2 Wanton Noodle This famous Wanton Noodle is very popular among Singaporeans. 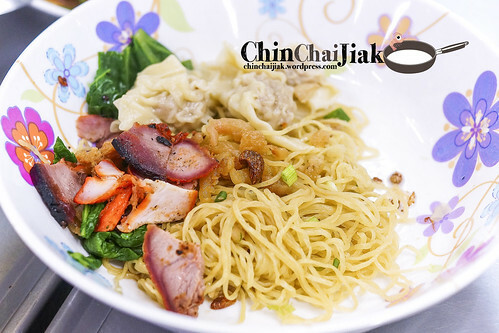 Many returned to this humble stall for their crispy-pork-lard-filled noodle and it’s location is just situated opposite Singaporean’s favorite shopping mall – The Platinum Mall. Some are also hooked by their really tender braised pork knuckle. (2.) Chatuchak Pork Chop Bun The pork chop bun stall is situated at Chatuchak Area 22 Soi 4. 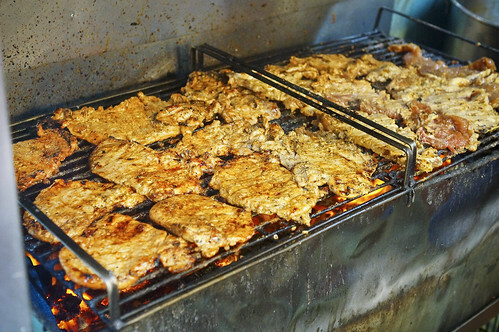 Their tender Pork Chops are freshly grilled right in front of their stall, wrapped in fluffy white steamed bun. (3.) Chatuchak Coconut Ice Cream The famous must-eat coconut ice-cream at Chatuchak. 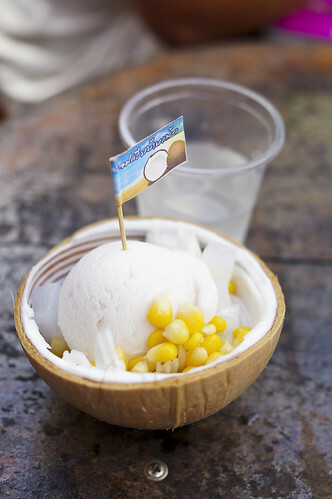 The ice-cream comes with two toppings and the stall owner offers free coconut juice to go with the ice-cream. (4.) 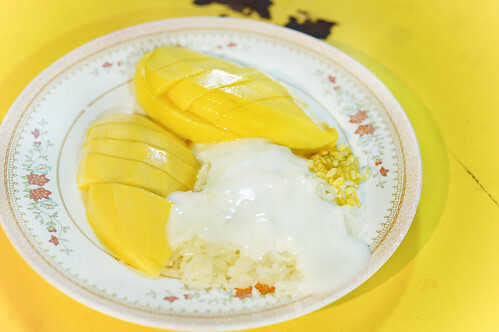 Sukhumvit Soi 38 Food Street – “Bangkok Best Mango Sticky Rice” Surprisingly, this street food stall earned it’s reputation of “Bangkok Best Sticky Rice”. I thought that indeed this is one of the best that i had in Bangkok, but not sure is it Bangkok Best. The whole street of Sukhumvit Soi 38 is transformed into a Food Street at night that operates up to 2 am at night or later. With about twenty street food stalls here, it is definitely a good place to indulge in Bangkok’s street food culture! (1.) Roast Coffee and Eatery One of the must-go brunch place in Bangkok. Situated at Thong Lor area. 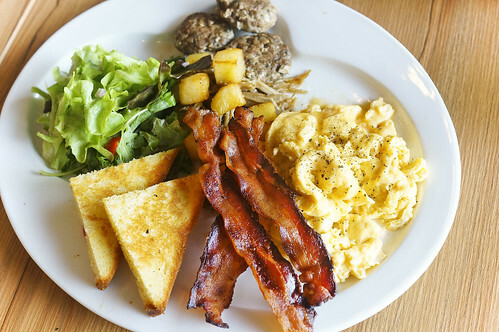 Serves pretty good all-day breakfast, main courses and award winning hand-crafted coffee. I love to chill out, relax at this cafe while watching the time roll away. (2.) Mr Jones Orphanage Just visiting this cafe for it’s interior design is well worth the travel. This is a cafe that pops right out from a story book, with the interior decorated with giant ceiling clocks, carousel, pastries-filled kitchen and an attic dining area. Also situated at Thong Lor area, you can just pop by to this cafe after having a meal at Roast Coffee & Eatery. 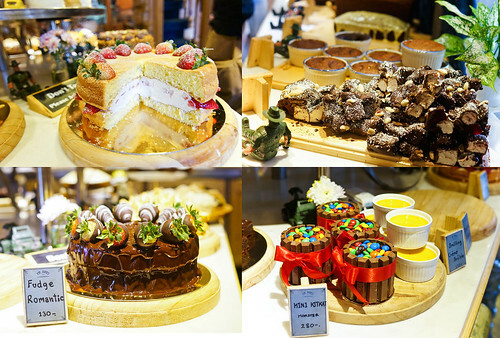 With a wide variety of cakes and desserts, surely one will be able to satisfy your sweet tooth. (3.) After You Dessert Cafe This is a very popular dessert cafe in Bangkok. Long queue is formed outside this cafe during peak hours and is famous for their Shibuya Thick Toast. 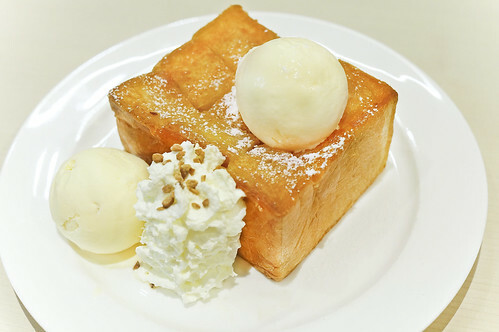 It comes in many variations like Nutella Shibuya Toast, Chocolate Shibuya Toast or even Melted Cheddar Cheese Shibuya Toast. (4.) Mont Nom Sod Mont Nom Sod is situated at MBK level two that specialise in Toast and Milk. Mont Nom Sod’s bread is nothing like our square toast which the texture became a little tough after toasting, or the really crispy style like Ya Kun’s. Their toast is crispy on the surface and fluffy soft on the inside. There are many options for the toast spread, like Coconut Custard, Condensed Milk, Chocolate, Taro spread, Pumpkin spread and Corn spread. A good place to have a quick bite before heading off for the crazy shopping regime again. (1.) 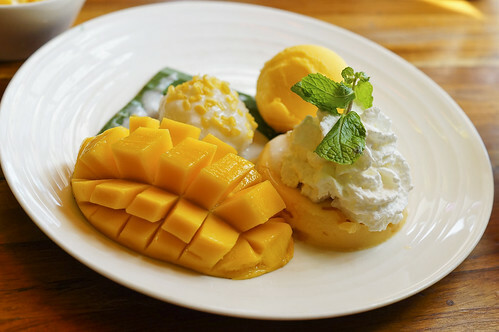 Mango Tango Mango Tango is a dessert place that specialises in Mango dessert at Siam Square Soi 5. They are well known for their fresh mango and mango juice at a very reasonable price. (1.) Soi Polo Fried Chicken This fried chicken has a reputation of Bangkok Best Fried Chicken and it’s known as the hidden gem in Bangkok. People agreed that the fried condiments that were scattered generously over the tender fried chicken are really unique and it greatly enhanced the taste of the chicken. The location is not exactly the easiest to locate but well worth to try out this unique style of fried chicken. (2.) Thip Samai Pad Thai Has a reputation of “Bangkok Best Pad Thai”. They sell good Pad Thai and sell only Pad Thai. Each plate of Pad Thai are prepared right in front of you and served piping hot, and frequent by a lot of their locals. (3.) Huaplachongnonsea Junior Situated at Central World, i consider Huaplachongnonsea Junior as a relatively cheap eat at a very convenient location. 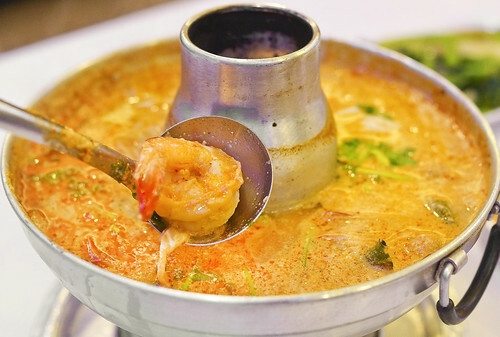 Their speciality are their hotpot tom yum soup as well as their curry crab meat. I enjoyed their two signature dishes and will be going back for more in the future. This is a very non-mainstream non-touristy restaurants that are frequent mostly by locals during my last visit. (1.) The Deck @ Arun Residence Great place to chill after visiting the Grand Palace, Wat Arun or Wat Pho. This restaurant is strategically situated across Wat Arun. 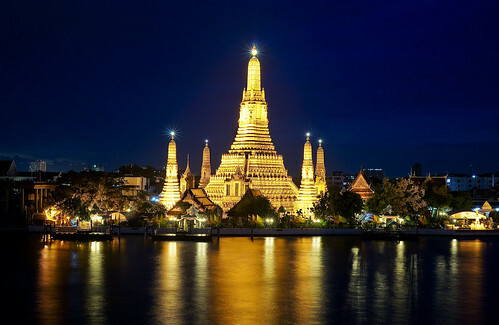 This is one of the best place to catch a glance or take a good photo of Wat Arun during set sun or watch Wat Arun glows in a golden light in contrast to the night sky. (2.) 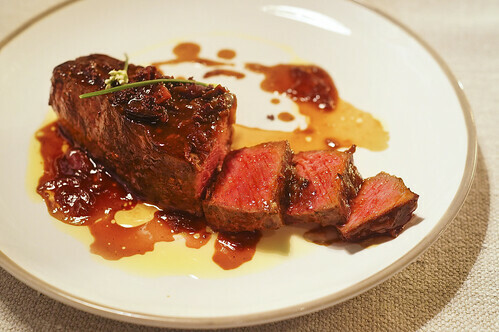 Quince Bangkok Eatery & Bar Quince, a newly opened restaurant in the second quarter of year 2012, offers a fine dining menu at a typical Singapore restaurant price. It’s located at Sukhumvit 45 which is a couple minutes walk away from Phrom Phong BTS station. The amazing interior provides a great ambiance for couple to indulge in a romantic evening dinner. This list will be updated if there is any new post on Bangkok food by me. Hope this is useful enough for you guys and have a great trip! 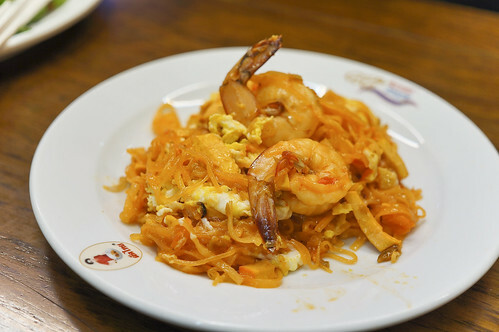 This entry was posted in Bangkok Food and tagged all day breakfast, Bangkok, bangkok best food, Bangkok Best Pad Thai, Bangkok Best Phad Thai, bangkok cafe, Bangkok Food, bangkok good food, bangkok must eat, Bangkok Pad Thai, bangkok restaurant, bbq pork cheek, braised pork knuckle, breakfast, breakfast platter, brunch, cakes, CentralWorld, Chatuchak, Chatuchak Market, coconut, Coconut Ice-cream, Curry Crab, food, free coconut juice, Fried chicken, Grand Palace, hotpot tom tum, Ice Cream, JJ market, Lumphini, Mr Jones Orphanage, Pad Thai, pastries, Platinum Mall, Pork chop bun, Pratunam, restaurants, roast cofee and eatery, roast coffee & eatery, Soi Polo, soi polo chicken, street food, tender pork chops, The Deck, Thong Lor, tom yum soup, Wanton Noodle, Wat Arun, Wonton noodles. Bookmark the permalink. Great list! Book marking and waiting to try the wanton Mee and Dr Jone’s! Hey Daniel, thanks for dropping by!! i am glad that you find this list useful! Hi Zach! Thanks for dropping by. Glad that you find some of my information useful. awesome list. i especially the BKK and HK listings!!! By the way, have you tried Sabai Jai at Ekaimai? Try it. I think the the thai food is pretty authentic and cheap. Special love for their grill chicken. So good. Do consider that on your next visit.